Prevention is our best defense against Lyme disease, yet there are some common misconceptions about how and when you should protect yourself. Below are some tips and need-to-know information on how best to protect yourself and your family. You don’t have to go deep into the woods to be at risk of being bitten by a tick. Ticks can be living in the short grass of residential yards. If you already have Lyme or other tick-borne illnesses and are on herbs or antibiotics, you still need to protect yourself against bites. Ticks carry pathogens other than Lyme, such as Babesia, Bartonella, Erlichia and Rocky Mountain Spotted Fever, and the Lyme bacteria has various strains that your herbs or antibiotics may not be effective against. Even if it is early in the season and the trees have not bloomed, ticks are active and looking to feed. My father found a tick on himself in the middle of the winter! Take proper precautions on any warm (32 degrees or higher) day. Tuck your pants into your socks and your shirt into your pants. Ticks seek bare skin, and while tucking might not be fashionable, it bars the path to your legs and torso. Wear long-sleeved shirts that are fitted at the wrist. Wear light-colored clothing, so that you can easily spot any ticks looking to feed. Wear a hat and tuck your hair into it, especially if you are going to be in tall shrubbery or in the woods. Do not wear sandals that expose your feet, or walk in the grass with bare feet. Treat your yard. Two resources that provide excellent information on how to do this are LymeDisease.Org’s Landscape Protection or the Property Management section on Stop Ticks on People’s web site. Do frequent tick checks on any exposed skin while you’re outside. Heat kills ticks. Immediately put all of your clothes in the washing machine and wash in hot water, or put them in the dryer and run it on high for at least 15 minutes. Ticks can survive in water for hours, but high heat will kill them. Do a thorough tick check. Ticks can be as small as the tip of a pin, so carefully check from the tips of your toes to the top of your head, including along your hair line and on your scalp under your hair. Brush your hair and take a shower. Wash thoroughly, as tiny ticks that you may have missed can be washed off before they have a chance to attach. Don’t forget about your pets. They need to be checked for ticks as well. Even when treating them with repellents they can be little tick taxis and carry them into the house. So be sure to check them daily. Firewood can also be a breeding ground for ticks. If you have stack of firewood, be sure to bring in only what you need, and carry it in a sack, so that ticks don’t have the chance to crawl onto your clothes or skin. Keep your wood piles clean, and treat the surrounding area with tick repellent. If you do find a tick, don’t panic. Use the Lyme Disease Association’s fantastic resource, which describes all the steps on how to remove ticks and what to do after removal. More than half the ticks tested in the Northeast carry Lyme disease. The wait-and-see approach is not in your best interest. Learn more about treating the bite at this excellent site. 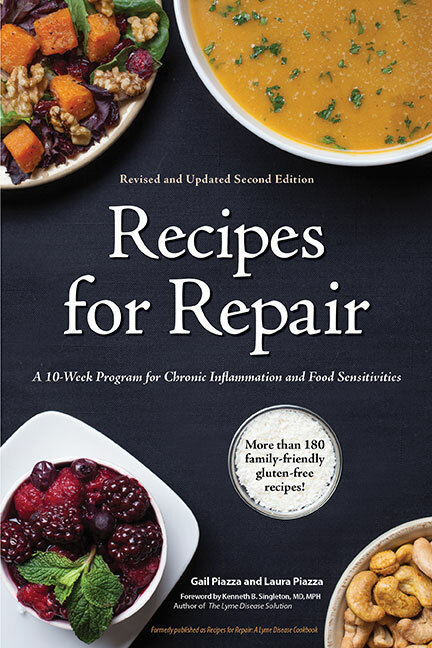 Read our related article, Treat the Bite & Early Symptoms to Prevent Chronic Lyme Disease and check out our resources page for reputable website and book suggestions.